Reyes Roofing Contractors, LLC is a certified, local roofing company providing a full range of roofing installation and repair services to our Sterling, VA customers. Welcome to Reyes Roofing Contractors, LLC. We are a family-owned business located in Fairfax, VA that has been providing excellent roofing services in Northern Virginia and Sterling, VA for more than 20 years. We offer roofing installation and repair services of residential and commercial properties and each member of our team is a CertainTeed Certified Master Shingle Applicator. We have a great reputation and many satisfied customers because our focus is on customer service, superior craftsmanship and high quality materials. We have an "A+" rating with the Better Business Bureau and we are members of the National Roofing Contractors Association and the Virginia Association of Roofing Professionals. We provide the same attention to detail and service whether your project is large or small. Our customers find long-lasting beauty, durability and dependability in all of our roofing projects. What types of roofing concern are you experiencing? The experienced, certified roofing installation experts at Reyes Roofing Contractors, LLC can handle all types of commercial and residential roofing issues including but not limited to hail damage, wind and storm damage, roof leaks, missing shingles, rotten wood, re-roofing, and new roof construction. 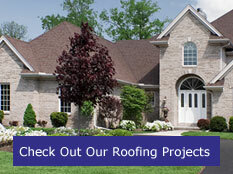 Would you like to receive a free, no-obligation roofing estimate? Click here. 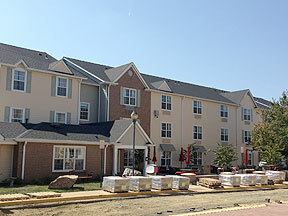 Do you have a roofing concern in Sterling, VA? Contact us at Reyes Roofing Contractors, LLC with your roofing questions.